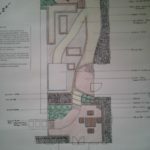 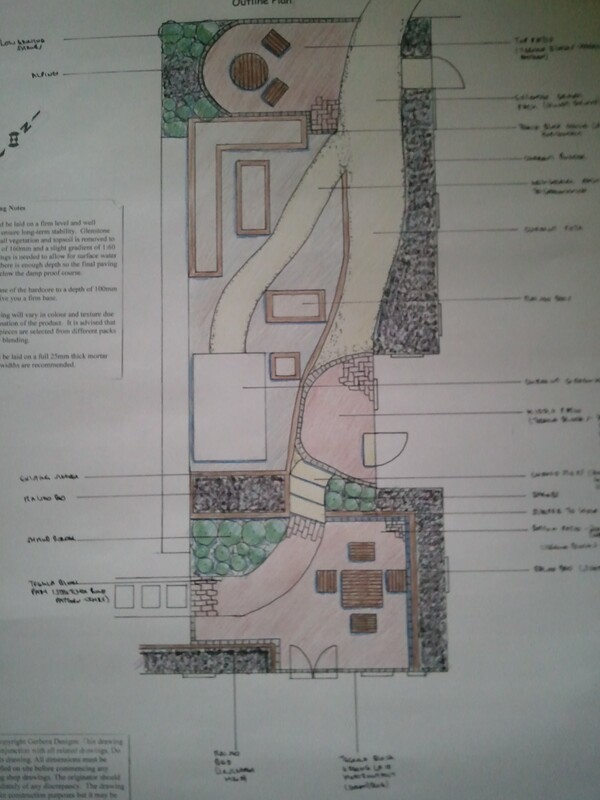 Design brief – The proposed space for a garden redesign was a south west facing area next to the house. 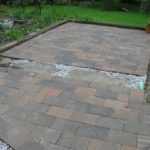 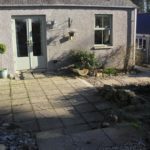 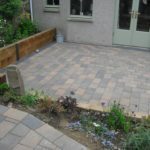 The sunken patio has become a terrace/patio area to be enjoyed for outdoor living and dining with raised beds around it close to the house. 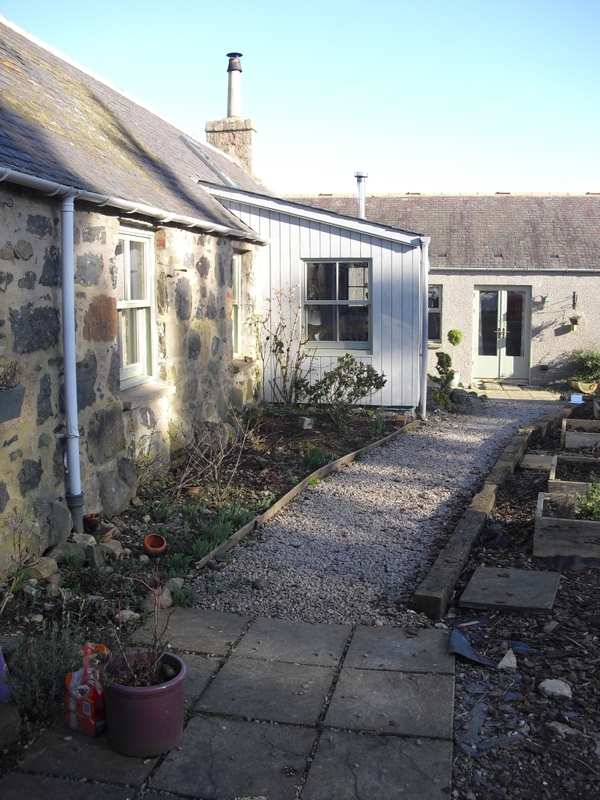 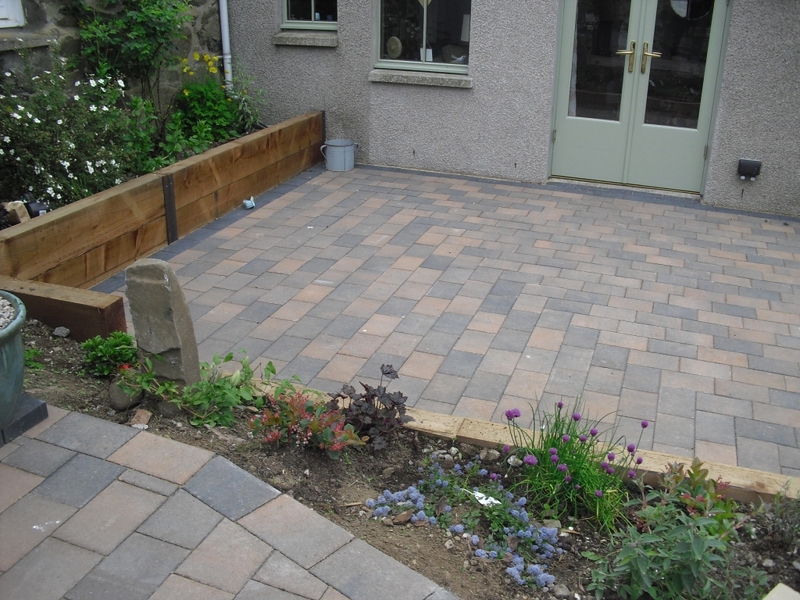 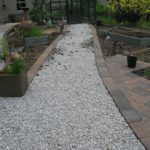 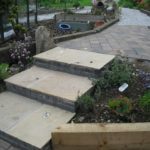 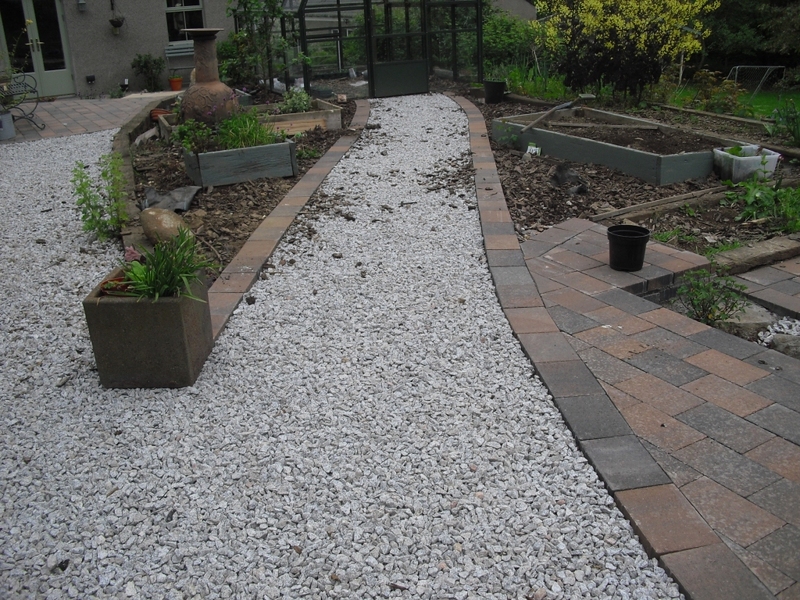 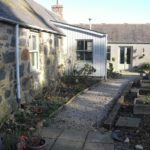 The clients were keen to use traditional materials which are in keeping with the patio/terrace and adjoining beds. 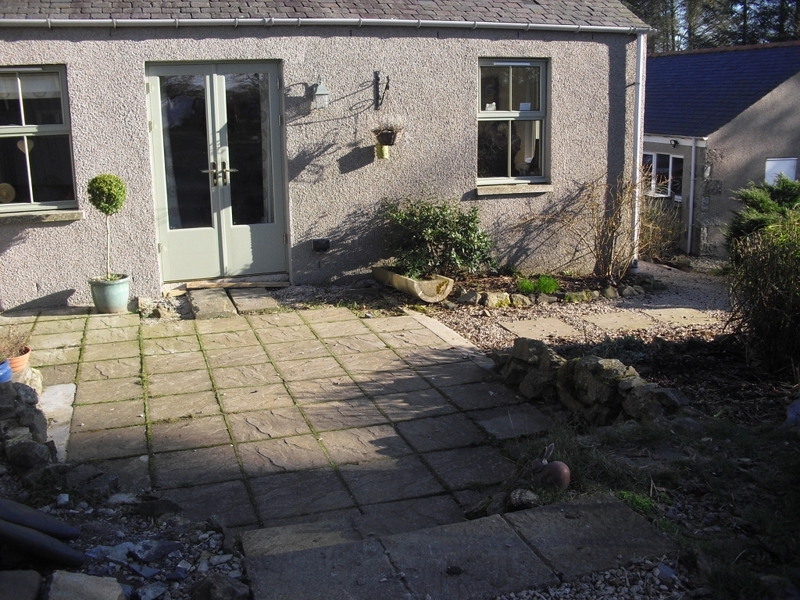 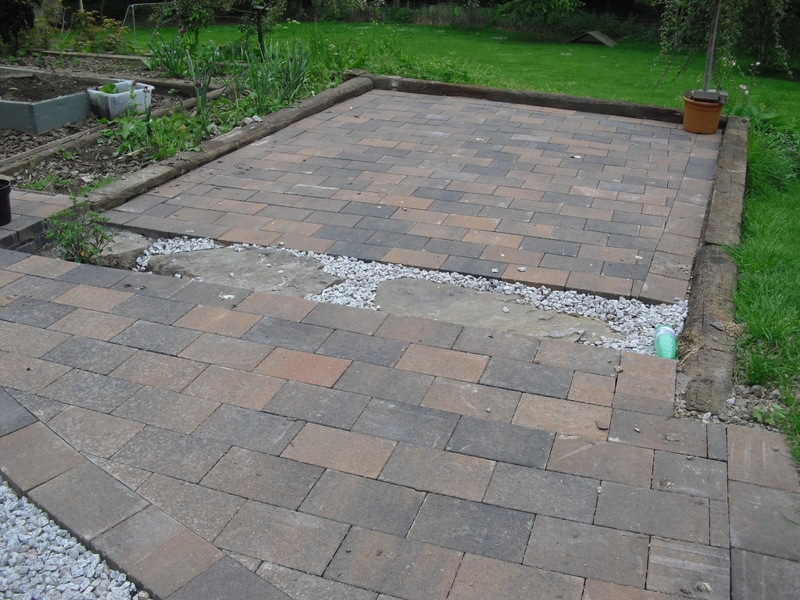 The patio was slightly raised from its current position so that it can be easily accessed from the door in this area. 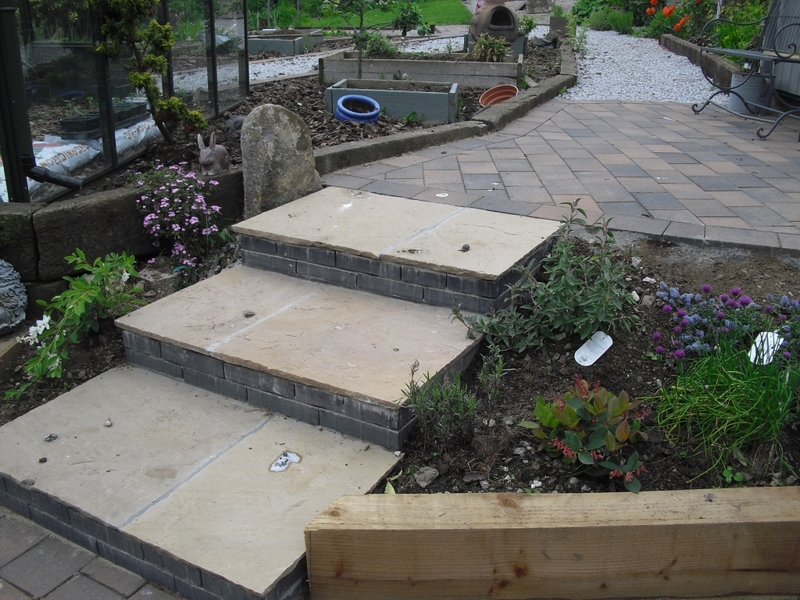 Steps were built to access the gravel path on the next level as well as access to the house through the second door. 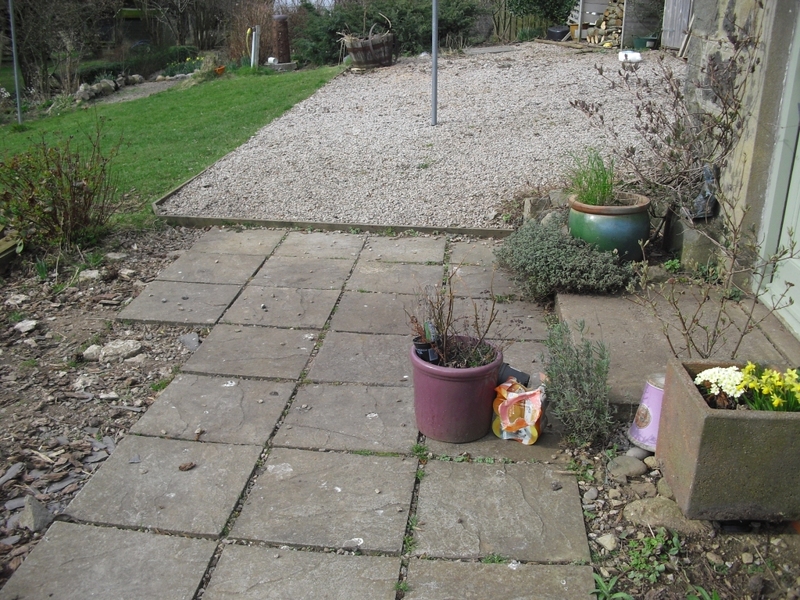 The area next to the third entrance to the house has been made into a small patio/terrace. 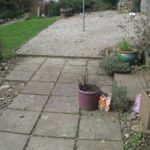 This raised area affords views of the garden and lawns below.